Sunday morning saw me hanging out with the girls down by the skate park near Wellington’s water front. 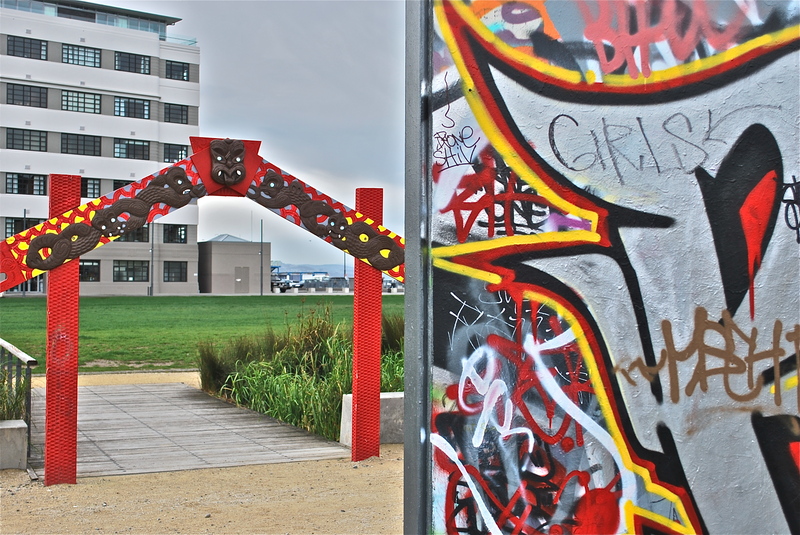 I’m not sure I had noticed the marae-style gateway to the park before today, but the contrast between that and the graffiti nearby was interesting, in terms of both colour and culture. What statement, if any, is made by taking a shot that includes them both? No colour enhancement on this, btw.